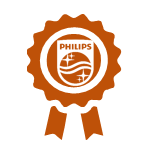 This quiz will test your understanding of how the Philips University is supporting the learning dimension of business transformation by using the SIM approach (explaining Philips University deliverables, lead-times etc). If possible, work in pairs. Have fun! 1. Detailed learning needs analysis. 3. Training for lead deployment delivered. 1. Trainers for lead deployment trained. 2. Define for which models Q+R and non Q+R controls are relevant. 3. Training event uploaded in learning management system. At which stagegate do we need to have the gold (final) learning content ready? At which stage gate does the deployment communications plan need to be set up? (Please click on the right stagegate in the picture). At which stage gate do you need the final learning management launch plan to inform the Philips University about upcoming sessions? (Please click on the correct stagegate). Local learning infrastructure set up. Performance support and training after care initiated.